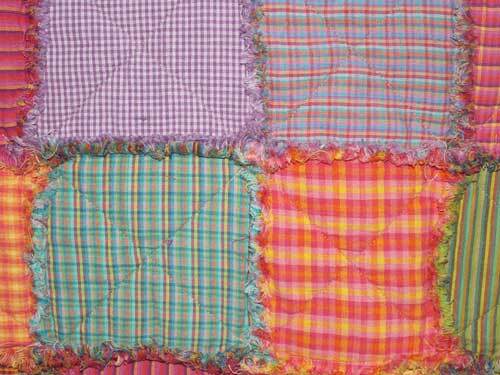 Baby crib quilts and throws are no longer available from Jubilee Homespun either as a stock item or as a custom order but they're so easy to make! 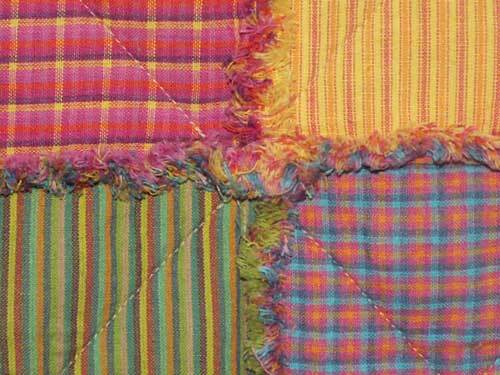 In rag quilting, the edges and seams are frayed and ragged to create a primitive, shabby country look. "Throws" are not quilted, but have been fully self lined and are a great, light weight summertime throw. They are completely machine washable when completed. 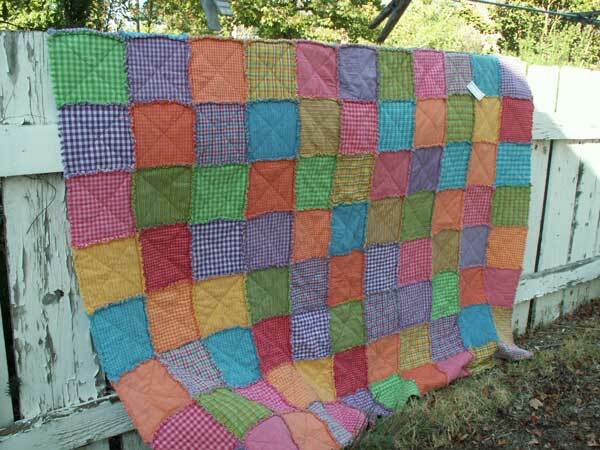 "Quilts" are filled with medium weight polyester batting. 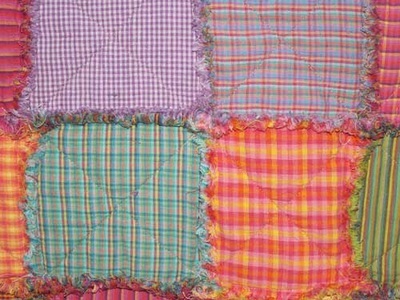 Each fabric block is quilted with a machine stitched X and measures about 6" across after washing. Simply follow the detailed Simple Ragged Throw tutorial and use any homespun fabric colors that match your little one's nursery.